This is the digital version of Teaching, Promoting and Assessing Professionalism Across the Continuum: A Medical Educator's Guide. Click here to download a PDF version. Please note that the PDF version will not be updated as frequently, and may thereby not mirror the digital version. We recommend you refer to the digital version as often as possible. American Board of Pediatrics. Education and Training Committee. 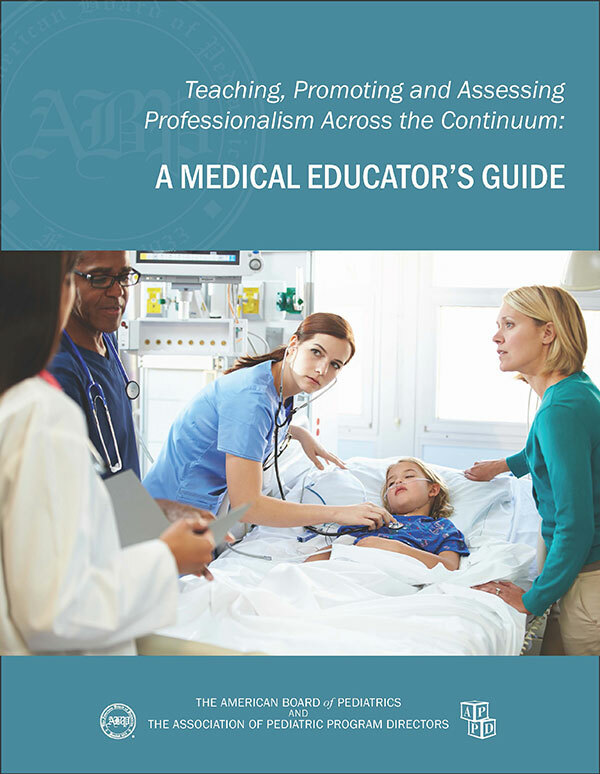 Teaching, Promoting and Assessing Professionalism Across the Continuum: A Medical Educator's Guide. https://www.abp.org/professionalism-guide. (+ date accessed). In addition, we would like to acknowledge to the following organizations for their continued support: Council on Medical Student Education in Pediatrics (COMSEP) and Council on Pediatric Subspecialties (CoPS).